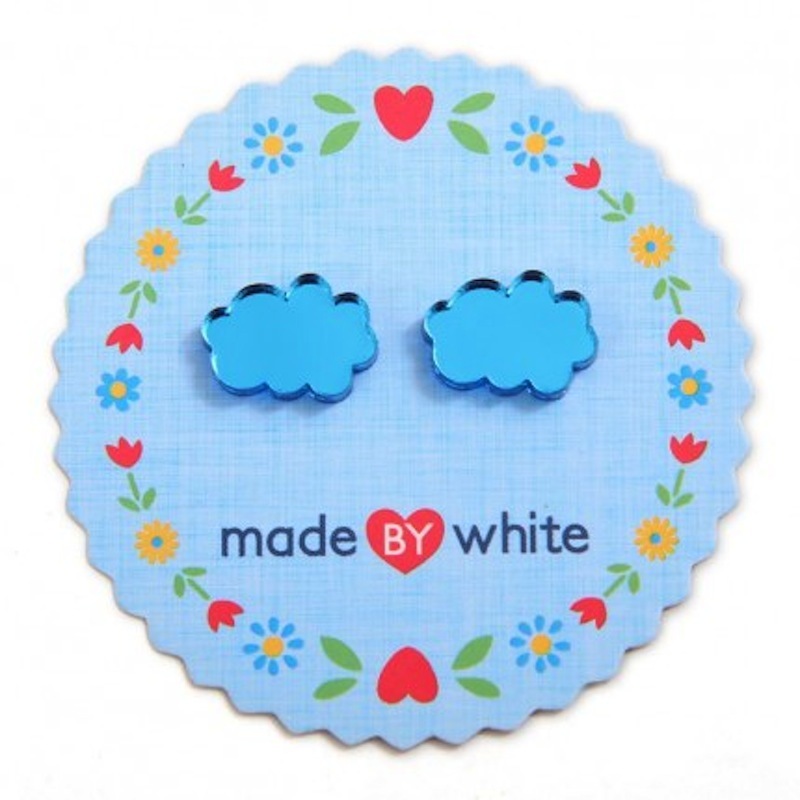 These little stud earrings are laser cut from 3mm thick mirrored plastic and then assembled by hand. They have sterling silver ear posts glued onto the back and also have sterling silver butterfly backs to hold them tight to your ears. 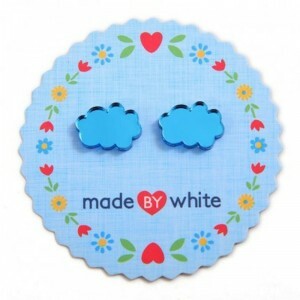 These cloud earrings are approx 14 x 10 mm (0.55 in x 0.39 in).